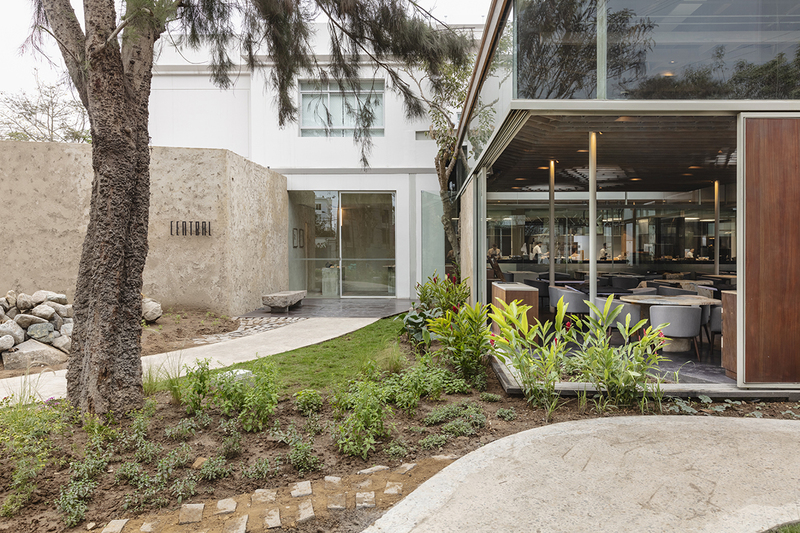 The new venue of chef Virgilio Martinez’s Central Restaurante develops a contemporary architecture based on the recovery of traditional techniques and materials belonging to the diverse ecosystems of Peru, by transforming an old house in the Barranco district, in the Peruvian coast, into a space where different times and materialities coexist. 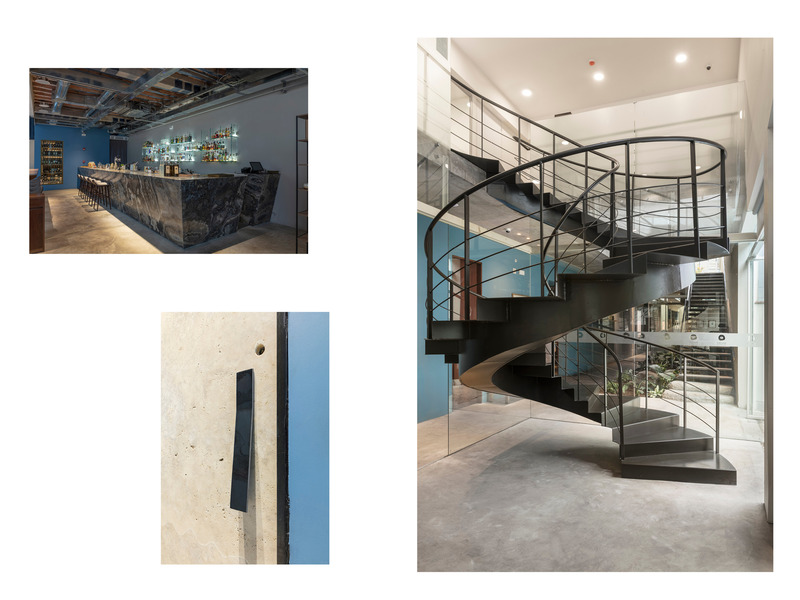 The project also houses Kjolle, the new restaurant by chef Pia León, as well as Mayo bar and Mater Iniciativa, a center for the biological and cultural study of our biodiversity. 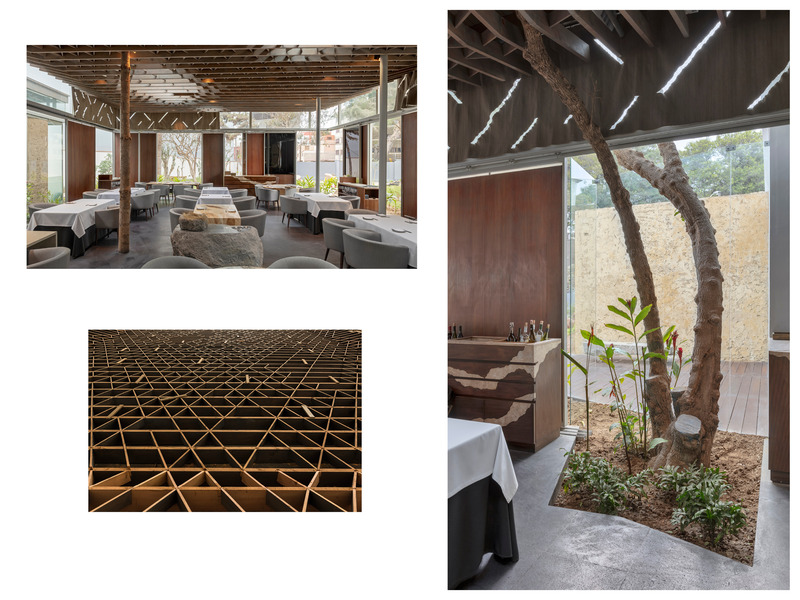 The new Central restaurant originates from a quest to understand the landscape we inhabit in order to relate to the diversity of our ecosystems and their interactions. Peru is a megadiverse country home to more than 70% of the planet’s biodiversity, from its cold seas and desert coastline to the Amazonian tropical rainforest or the Andes. Through an understanding of the particular physical and material conditions of this heterogeneous landscape, we can recover and recreate the biodiverse worldview of our territory. The architecture we conceive integrates these landscapes by employing their materials, thus recovering and developing local and sustainable construction systems that allow us to reestablish physical contact with the habitat. We seek to establish a direct link between the body that occupies the space and the different materials that make up the landscapes, as well as the worldviews that make up our collective habitat. We believe in a continuity between construction techniques developed by human beings and the natural diversity of each place. Our intention is to recover and recreate a material language of diversity that can be integrated into our future habitat. This way, by dissolving the barriers between past, present and future, natural and artificial, urban and rural, technologic and archaic, and industrial and artisanal, we incorporate feral materials to our design process, which reveal moments in the continuous transformation of the territory that has taken place across natural cycles for thousands of years. 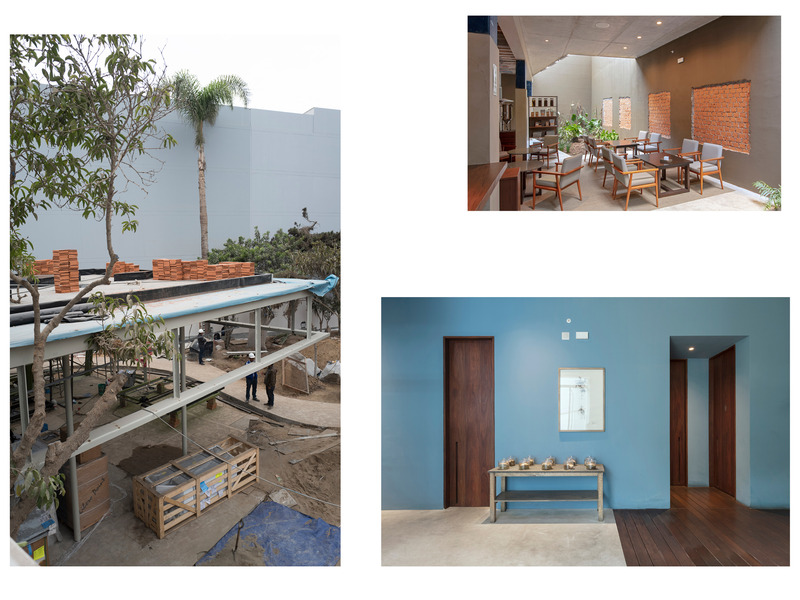 With this project, we want to transcend the generic language of present architecture by incorporating local materials into its design and recovering the artisanal techniques of Peru. Visitors to Central will find materials such as the earths of Lima, the woods of the Amazon and the stones of the Andes. They will also see techniques such as loom weaving, quincha, stone carving and artisanal works in copper and bronze. The project is located in Barranco, a district whose historical layers are still visible. Barranco was originally part of a pre-Columbian farming valley complete with irrigation channels. Later, during the colonization, manors were built and it became a summer spot. 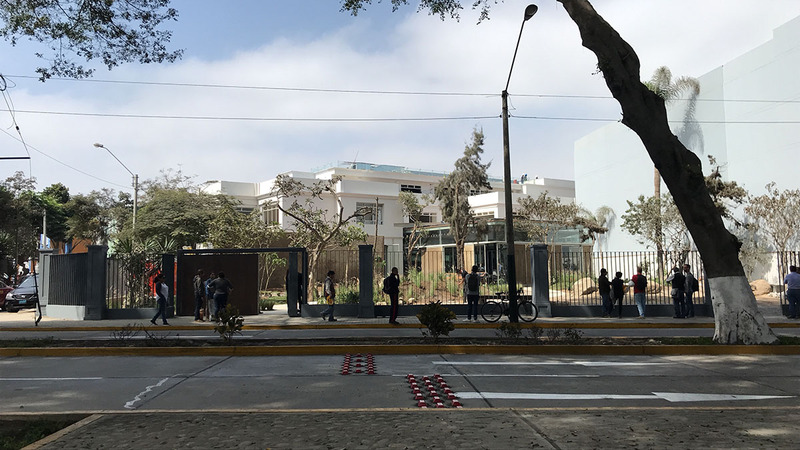 With the city’s modernization process, many of the district’s colonial houses were demolished and replaced with modern concrete buildings, while others were declared a cultural heritage. From the beginning, we meant to evidence this place’s transformation process, while differentiating its many interventions over time by contrasting the new, enlarged volumes with existing architectural elements that were recycled or preserved. We reinforced the existing concrete structures to support new weight, giving them a second life without generating waste. 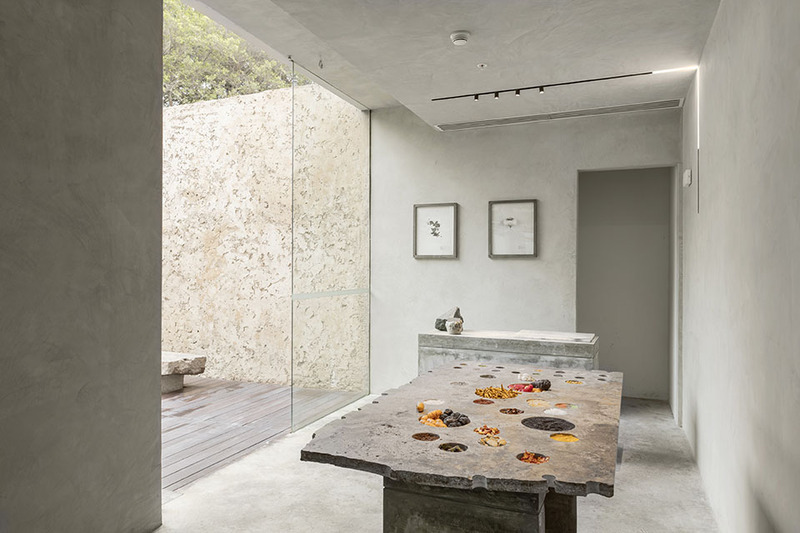 On the other hand, we decided to preserve all the vegetable species and material elements found in the area and incorporate them to the project as part of the space’s memory. In addition, we rescued more than twenty trees from neighboring grounds and transferred them into the new restaurant’s area. 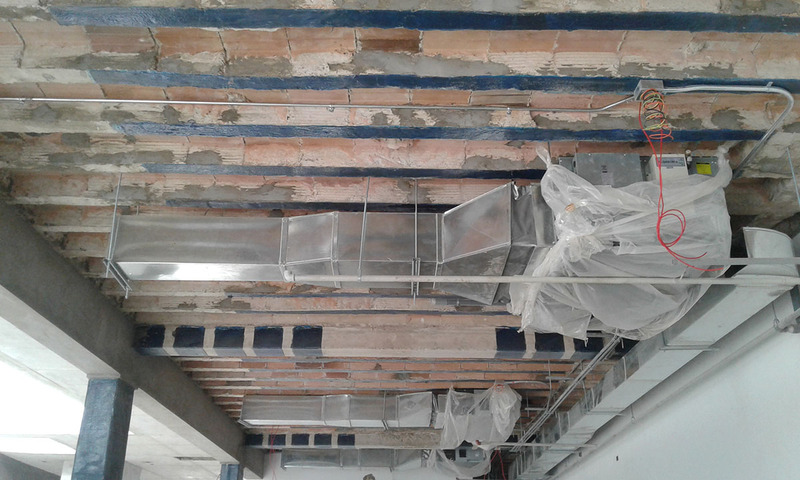 During the structural reinforcement process, which was done with carbon fiber, we opted to leave the traces of intervention in plain sight to evidence the passage of time in the walls, columns and beams. Through the architecture, the visitor can read into a geology of different material layers that tell what is preserved, what is remodeled and what is expanded. 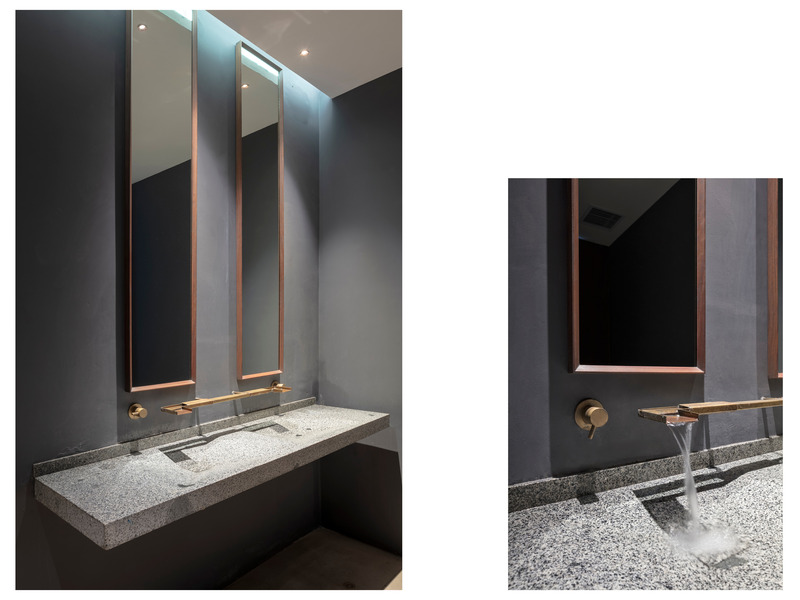 In addition to our aim of recreating our biodiversity’s collective consciousness, we chose the new materials and finishes under the principle of generating minimum impact on our natural habitat. We chose materials whose extraction, transformation and application can be done sustainably without unleashing harmful effects or toxic by-products on the environment. To warrant the project’s sustainability, we created independent sewage networks to treat waters separately and devised a treatment plant in order to purify greasy or grey waters and reuse them in our gardens. 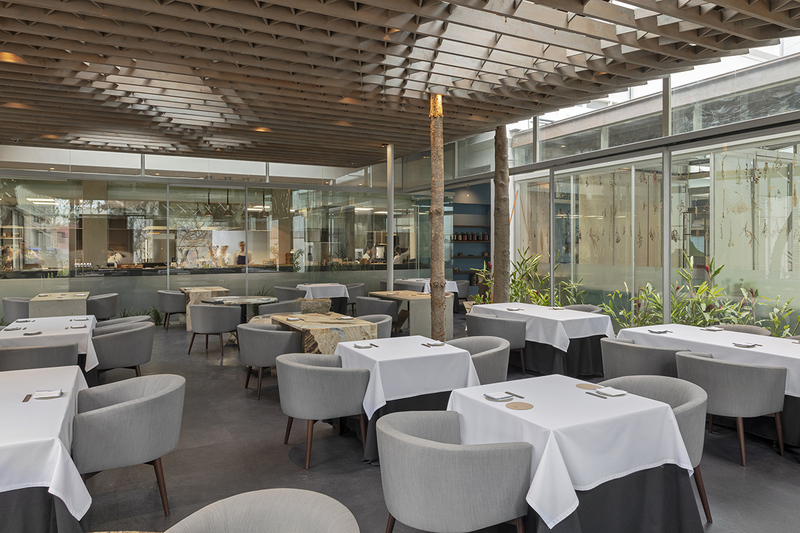 It was important that the restaurant addressed the climate requirements of the coastal desert ecosystem of Peru, which is characterized by its dryness and scarce rains. 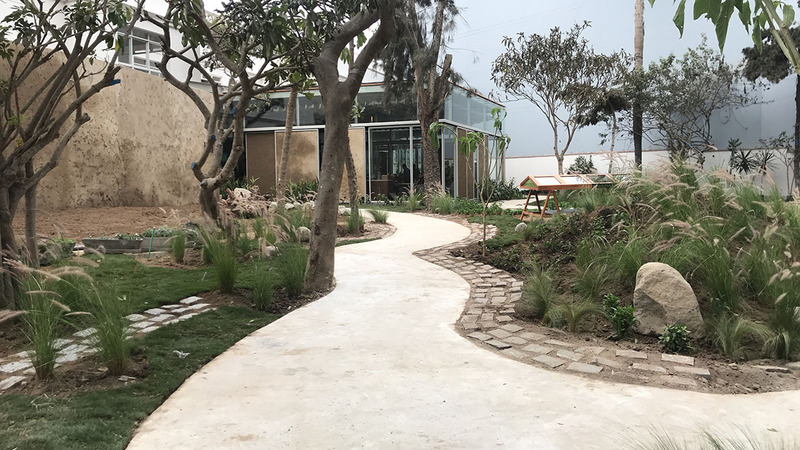 The concept for the new Central restaurant begins with an experience of the Limean desert ecosystem and traditional Barranco gardening; the garden that welcomes the visitor is cultivated with pacae, avocado and other tree species common to the coastal desert. Our main goal was to preserve the maximum amount of existing green area while keeping constructed areas to a minimum, given that the architectural concept stems from the union between landscape and architecture: a place where the boundaries between landscape and interior spaces are dissolved. This way, we create a continuity between the materiality of the landscape and architectural materiality. The natural desert rocks and earth in the garden gradually become elements of the architecture, such as stairs, floors, wall claddings and lavatories. Visitors can witness how the natural habitat transforms into the urban space. Moreover, the inner gardens articulate the space, providing natural lighting and ventilation to the interiors. In designing the main hall of Central, we were respectful of the placement of existing trees across the terrain, and consequently the new metallic structure adapts itself to the vegetation. Its enclosure is a system of pivoting and sliding glass, wood and earth panels. These different configurations create a variable relationship between the interior space and the gardens and orchards, while enabling the facade to transform in accordance to the seasons. 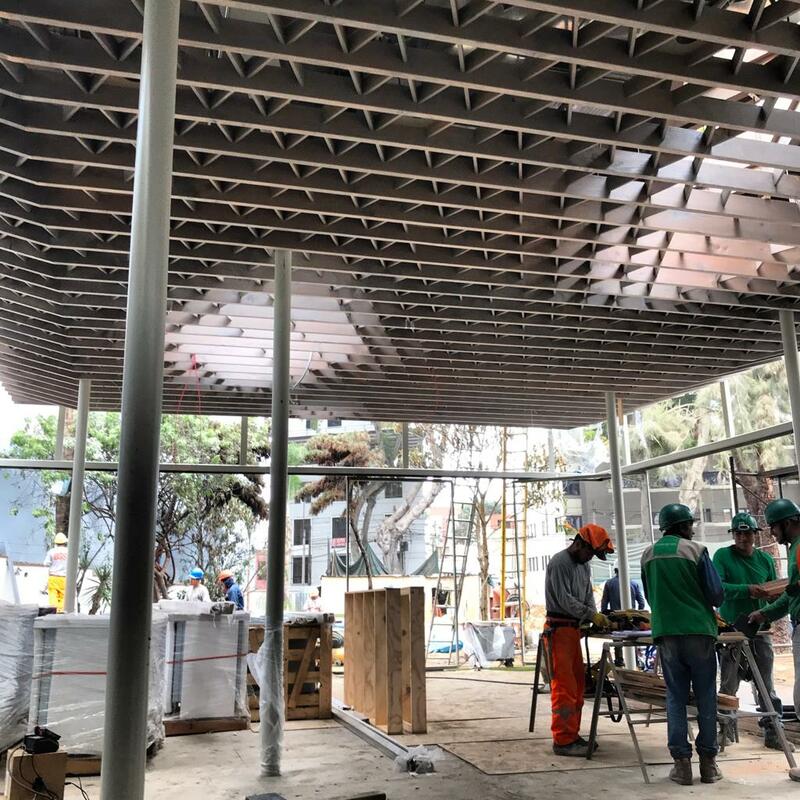 In addition, the earth panels, crafted with the traditional quincha construction system, establish a relationship with the consciousness of ancient pre-Hispanic and colonial buildings of the coastline, while acting as a thermal and acoustic element. 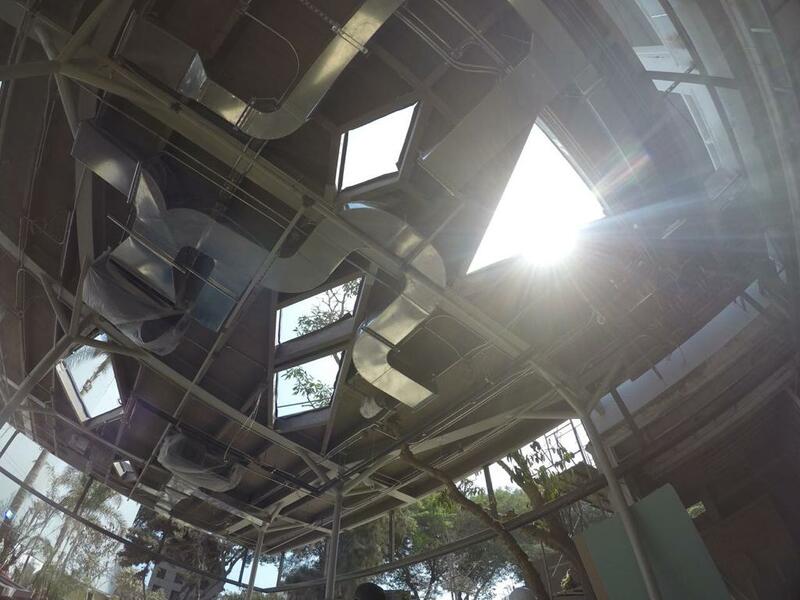 The hall ceiling was designed to house a xerophile garden to act as a radiation-isolating element and a natural light filter. 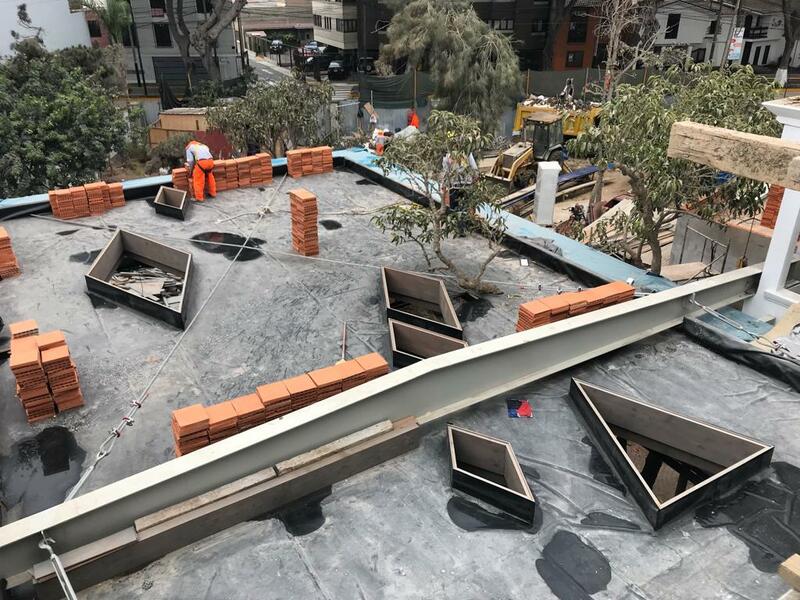 Finally, as part of the architectural recycling, we cast new concrete slabs featuring elements that serve as pots for trees and plants on the second level. 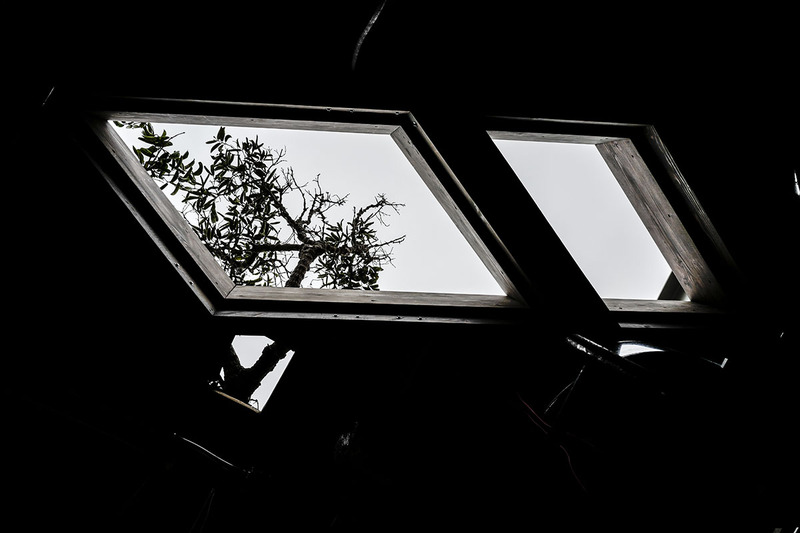 It is necessary to find a balance between industrial production materials and artisanal materials that enrich and add warmth to the architectural experience. 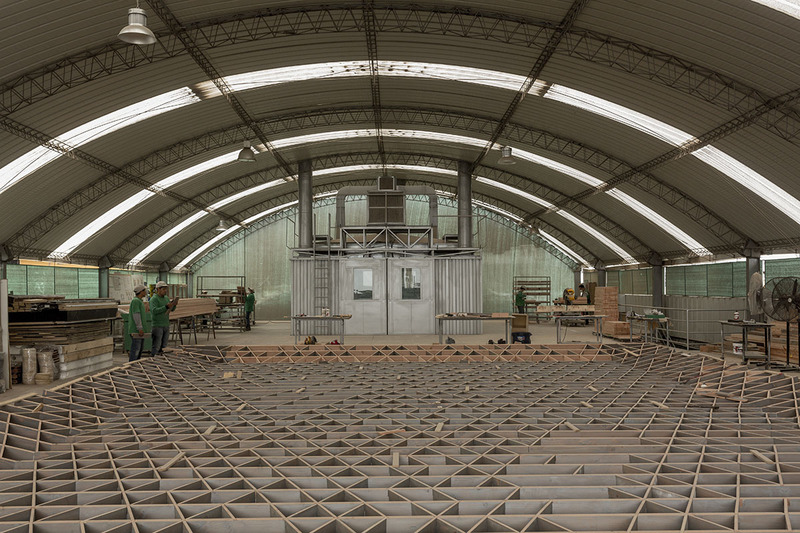 Hence, the majority of materials the studio employs in its finishes are of artisanal making. For the project, we monitor the materials from their origins in their natural state to their manual transformation. We assembled a team or artisans who enriched the techniques and processes with their specialized knowledge. In Peru, there is a fluid relationship between the materials of each landscape and the artisans’ knowledge. These insights are part of the immaterial heritage of our country, as they’re based on traditions that have developed for thousands of years. 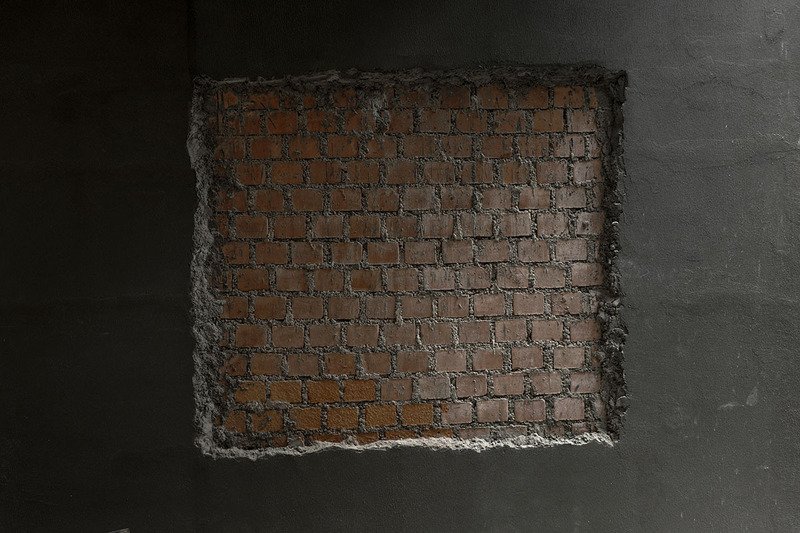 Below, we detail the origins of each material, the artisans who produced them, and the techniques that we deem more important to the project. 1. STONE – Artisan Roberto Román, Ayacucho.